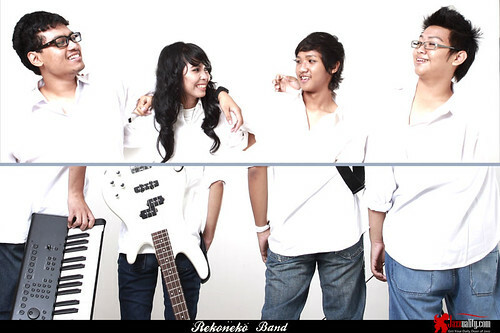 In July 21, 2009 there were a couple of young kids deciding to establish a band for Yamaha Music’s Bandblast competition in Yogyakarta. It should be understandable if they didn’t have enough time to prepare themselves since they established it a week before the due date. But then, the band managed to win the third place. The history of a band of very young musicians started since then. The band dares to be different by taking the genre rarely taken by any other bands with the personnel in their ages. We all know that jazz develops very well lately in Indonesia. We see so many newcomers entering the jazz scene from time to time. They bring different tastes and flavors into the industry enriching it in such a way having plenty to choose. Many of these new bands consists of very young musicians, most of them are college students. But here’s the thing. Most of these bands take the most appealing jazz side to suit their range of age, and that’s the groove-pop jazz. We’ve seen this evidence in some auditions. There’s nothing wrong with it, because no matter this groove bands can always bridge the gap between the jazz fans and those who are not into it. Therefore we are surprised finding a band of very young members but have enough skill to go against all odds, bringing the kind of jazz that’s really not a favorite among their generations. Rekoneko Band does just that. They bring the kind of fusion like the type we used to love in the 80’s through the famous fusion bands back then such as Karimata. Though their music resembles the eras where they mightn’t have even been born, they know how to bring it to fit the current. What makes it more interesting is that the personnel of Rekoneko have tremendous skills to do that. Some of them have even bagged many achievements since a very tender age. The good thing doesn’t stop there. They also dare to go exploring wider by visiting the land of ethno-musicology. Once again, remember that we are talking about young musicians, ranging from the first grade in high school to first semester in college. 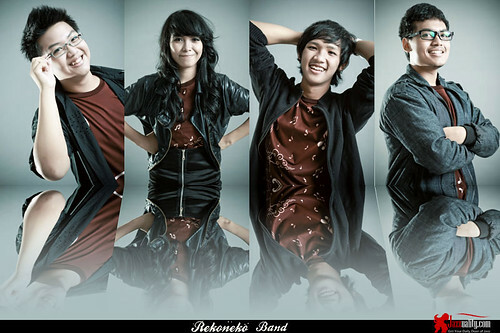 The first formation of the band when formed in 2009 was Luke (guitar), Rossa (bass), Sammy (piano/keyboard), Rais (drums) and Shazlin (vocal). As the time goes by, Rekoneko reshaped their formation. Rais was out and replaced by a wonder kid drummer who has started playing drums since 5 years old and the keyboard was moved to Christianlie. Sammy was back for a while, but these are the members who have been standing in Rekoneko since mid 2010 until now: Luke (guitar), Rossa (bass), Mahesa (drums), Ido (keyboard). Luke was the finalist of Fest Guitar Yamaha and third winner of Sound & Performance Guitar Competition. Mahesa is the member who bagged awards the most since 2003, when he was still 8 years old. The Best New Talent for Jazz Goes to Campus 2005, winning the first prize of Yamaha Student Competition: Solo Junior Local, First Winner of Drum competition Yamaha Student Contest 2007 in Surabaya, The Best Drum Senior II Gilang Ramadhan Studio Drummer 2008 (Cental Java and Yogyakarta) and The Best Drummer of Jazz Fusion Music Competition 2010 (Semarang) are just a few of his achievements. Since he was a kid he has played with many older jazz musicians to legends including Idang Rasjidi, Benny Mustafa, Luluk Purwanto and The Helsdingen Trio, A.S Mates and Andien. 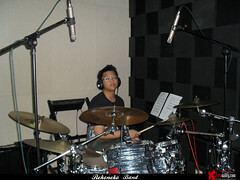 He is a certified drummer up to the Advance III level, even became a jury in a competition last year. 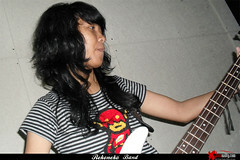 Rossa is shining as one of the few female jazz bassists. Her bass pattern is strong, groovy and steady. She can go soft but change ferociously wild when needed. And last but not least, the keyboardist, Ido, has a habit to go pouring down the melody in lovely streams in the smooth jazz-fashioned way that sometimes remind us of some stand-out smooth jazz pianists such as David Benoit, Dave Grusin and the likes. This group of four seems solid, so solid that they released this album as their debut in the end of 2010. Eventhough they stated to make the album more as a documentation of the band, yet the album was made seriously. 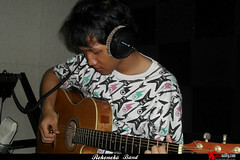 It was recorded at MIX Studio, the only major label in Jogja. The album has only 6 songs, but all are original and creatively done. 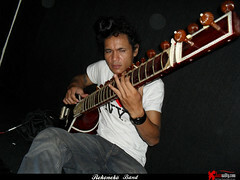 They have received many positive feedbacks, and we can see that they often got helped by the more senior musicians especially for instrument outside the combo such as saxophone and some traditional instruments such as sitar (the Indian, Pakistan and Bangladesh traditional guitar) or siter (a plucked string instrument with an oblong box resonator). Now let’s see the songs one by one. The album opens up with “Midnight Train”. Perhaps this song will easily be the most favorite one for its smooth jazz touch like the jazz style of GRP Records in the 80’s. Andika who wrote this beautiful smooth adventure also plays as the pianist. Brian’s vocal humming in some parts is very cool to listen; it reminds us of the memorable collaboration between Dave Grusin, Lee Ritenour and Ivan Lins in Grusin’s Harlequin (1985). Listen to this song, and you will feel like riding the train late at night. It’s sweet, smooth but inspirational. It’s an easy listening; it will grab your mind instantly. Next song is “Kecewa”, served with funkier groove. Rachma, the ex-vocalist of Kirana Big Band who now has moved to Bali to continue her career with Erik Sondhy and Koko Harsoe, is the vocalist of this song. Her strong textured vocal is really nice to listen over the funk rhythm and smooth jazzy pattern. This catchy groovy song will suit the wide variety of listeners at once. It’s time to get deep and find out the creativity of Rekoneko with “Moonlight Dance”. The song starts with the sound of Sitar played by Jarot Sanjay Dut. From there the pattern moved into the pentatonic landscape in roarin’ rockin’ guitar. This song is very rich by the use of both Sitar and Siter to represent the surrealistic world of India and Java merged as one over the fusion, also with the rockin’ approach and some country-like piano streams. This song really reminds us of how well Karimata did it back then. And to be honest, these kids can really match this legendary group, even dare to go beyond the limit by using more variety of ethnic instruments. 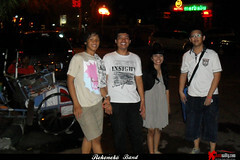 This is the song that was brought for the very first time by Rekoneko at Bandblass Yamaha Music festival in 2009. For that, this song is said to be their anthem. It’s a perfect choice, since this song can really show their skill, creativity and richness at the same time. Rachma once again contributed by singing like a sinden (Javanese traditional singer) in the middle. Move on to the fourth track and you will reach “Shandukara”. Shandukara is a Sanskrit means “Agreement”. Smartly they didn’t choose to bring the Indian music for this one; instead they chose to bring it with conga and lovely samba feel. Once again this song which was written by Haris Natanael, the instructor of Rekoneko, shows their capability to play the samba-esque fusion flawlessly. Delightful and fresh might be perfect to describe this song. They quickly raise the game to surprise us in the fifth song, “Impromptu”. This song has the fast speeding classical music dominating the song. Playing this kind of song fast needs good enough skill, and for us this is the song that shows how high their skills are. This very difficult composition was written by Singgih Sanjaya, an Indonesian musician/orchestra arranger. This song is not only changing pace with full variety of classical disciplines but also having some twists and turns with changing moods. Impromptu is indeed a masterpiece due to its high degree of difficulties but still very challenging to listen to. For the last song, Luke’s “My Dream” captures their true hearts as youngsters since it is a free, calm, joyful and cheerful song. Still delivered in tasty melodic fusion with steady rhythm, this song is best to represent Rekoneko for their true-self. Six songs are enough to wow us. We wouldn’t believe that this kind of piece could come from mostly high school students. Looking at the path they are taking and how brave they are in playing it, we are sure that they have a very clear future ahead. That is, if they still consistently continue what they have been doing. One day these kids will emerge as the frontline musicians. If they keep the band alive, this band becomes a very strong group since it has more than enough potential to be bigger. If you think young bands only play groove, it’s time to change that thought because Rekoneko brings something different with awesome skill and creativity. Not just a simple fusion, but they dare to go boldly across the boundary by visiting some ethnical world and brought it back into their fusion style. This is not something often to see, and for that we should give big applause for them. 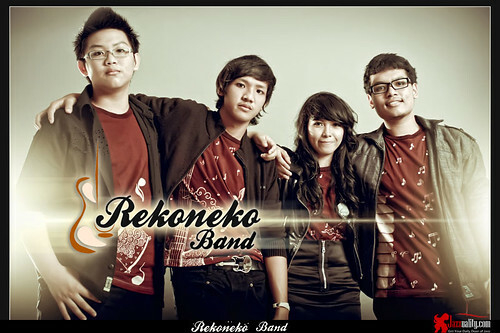 Rekoneko band still has a long way to go but at least they have done a remarkable and very solid start. We keep on listening to this band and think what they will be in the next 5 or 10 years. Make a way for these youngsters because they will continue to blow your mind away. Bravo Rekoneko, thank you for preserving the fusion in such charming way. You make us proud. How lovely it is to see the future of Indonesian jazz with having you inside. Favorit bgt sama midnight train, shandukara, sama my dream dr pertama kali denger! mantap bgt daripada dengerin lagu2 ngga jelas yg byk beredar akhir2 ini. Maju terus buat rekoneko, keluarin album yang bermutu..! REKONEKO, sebelum Album di launch suadah saya terima dari sang Manager, Mbak Driyas. Saya pertama mendengarkan lagu demi lagu yang terpikir adalah, “Bila Band ini KONSISTEN di jalur JAZZ/FUSION maka calon Pengganti KARIMATA! Sukses terus!! The album is amazing. Saw this some months back on same youtube. I love Shandukara, Moonlight Dance,and Midnight Train. What more can I say..great taste, great talent, great song. It’s a wow. Imagine what can you be in the future guys. REKONEKO dahsyat..generasi penerus band fussion Indonesia..lagunya easy listening tp BERKUALITAS! sukses terus! keep jazin..
saya pertama kali mendengar, melihat musisinya, langsung merasa betapa ini pilihan musik yang aneh untuk teman teman muda di rekoneko, musiknya sangat menjelajah dan mengingatkan pada musik era 80an, dimana krakatau, bhaskara, emerald, black fantasy dan tentu karimata, begitu sangat mewarnai musik indonesia saat itu, rekoneko seperti memuaskan dahaga untuk lahirnya musik bebas dari anak muda yang saat ini makin langka, terima kasih rekoneko dan semoga selalu dalam jalurnya ini………..